At times we need to access and view detailed information about different components in the computer. Just like utility to see complete list of drivers on the computer, here is another cool utility to see loads of information about your computer. Auslogics System Information utility provide detailed information about system configuration. In an easy to view interface, you can seen comprehensive information about different aspects of your computer. Besides, viewing general information – you can see details about: installed operating system, memory usage and performance. 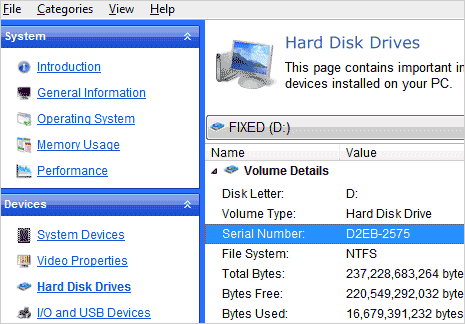 You can also view hardware information in terms of: system devices, video properties, hard disk drives, network, programs, USB devices. Download Auslogics System Information, it is all free and very quick way to view comprehensive system information in a neat way!